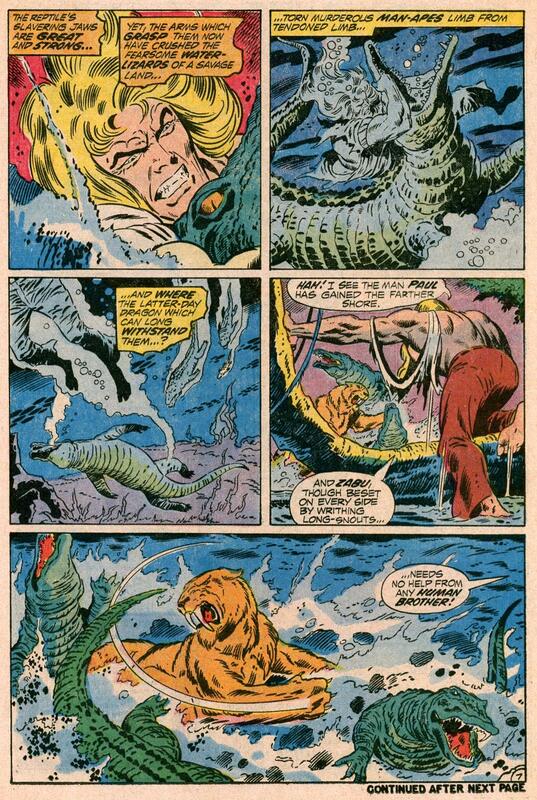 The Coming of Ka-Zar! 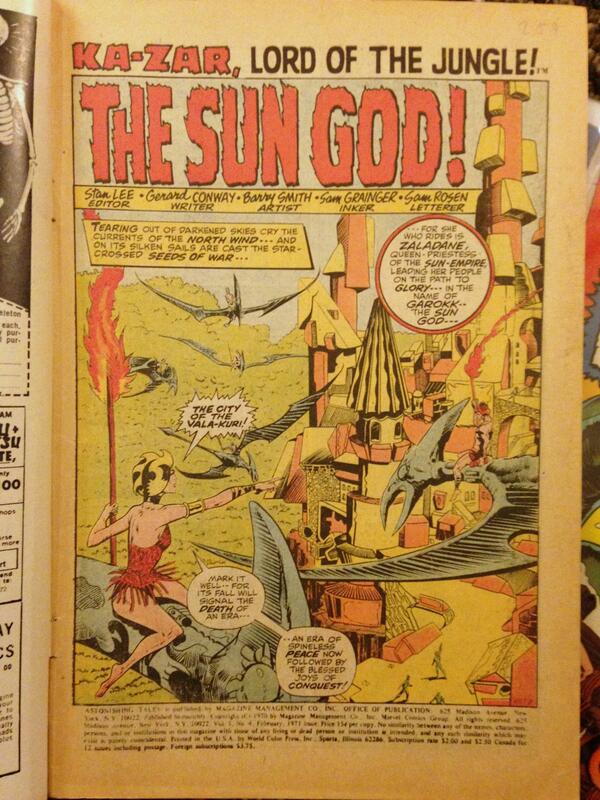 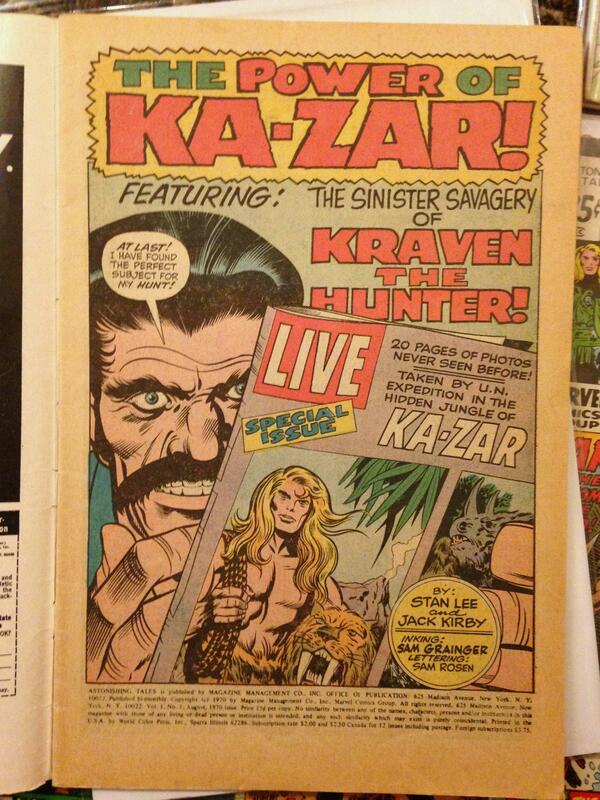 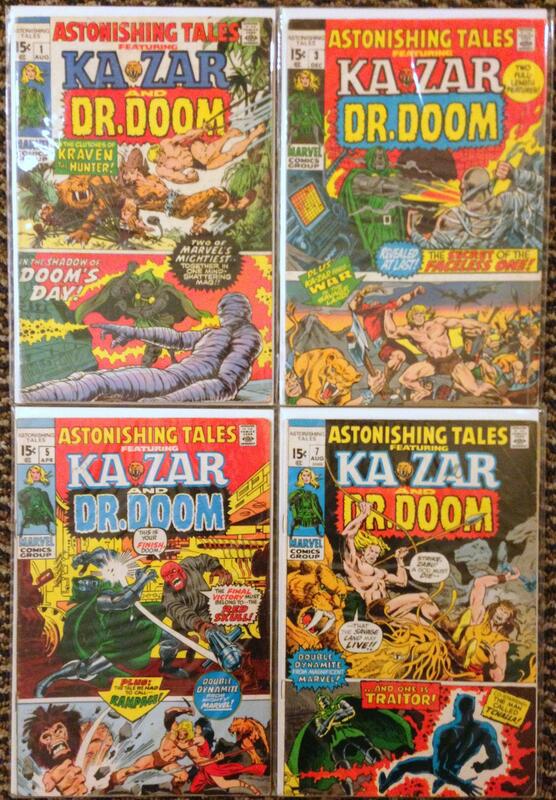 Here it is: the first silver age appearance of Ka-zar, lord of the savage land! 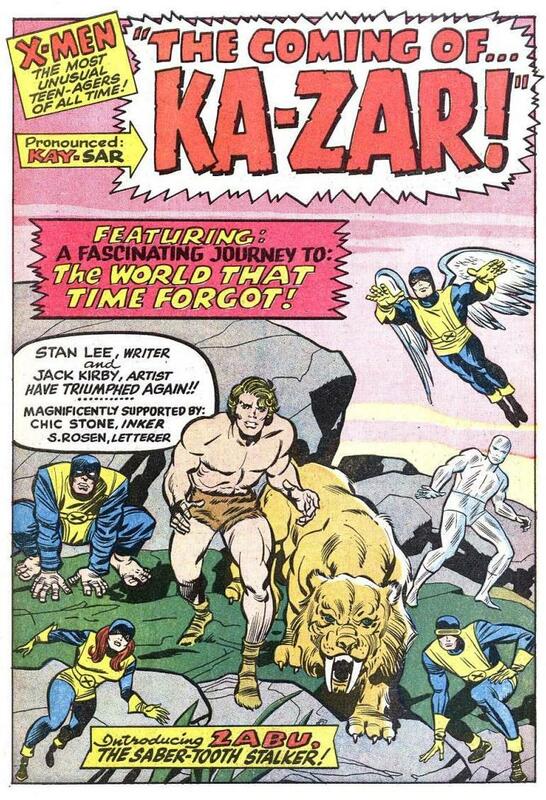 And don’t forget Zabu! 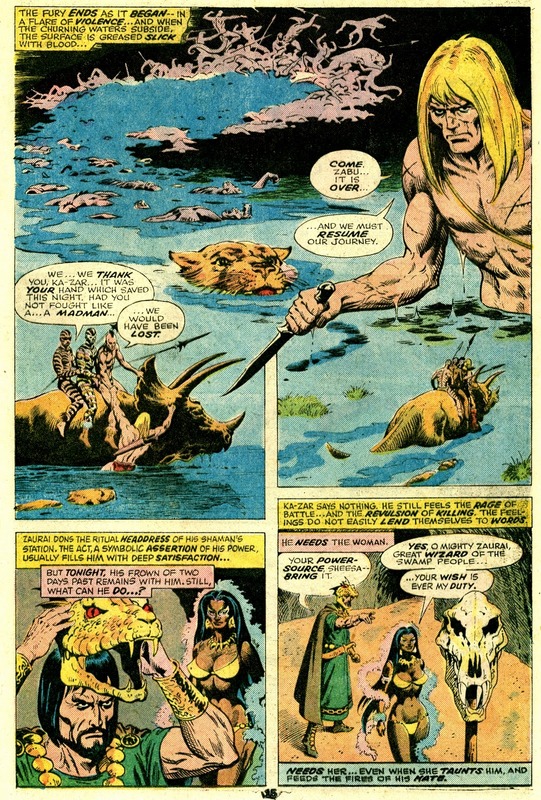 Even though Ka-zar is not a mutant, Xavier allows the X-Men to travel to Antarctica and enter the Savage Land to investigate this noble savage. 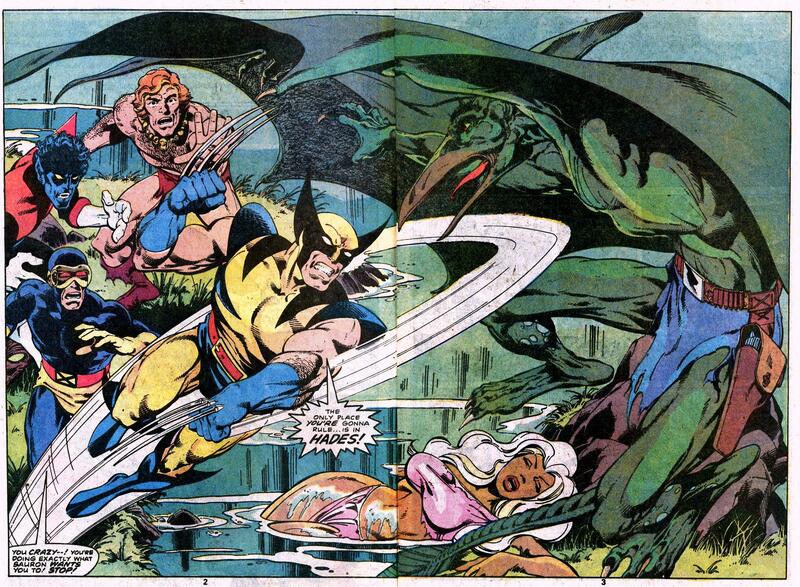 They end up having to save Jean and Warren from being sacrificed by the Swamp Men. 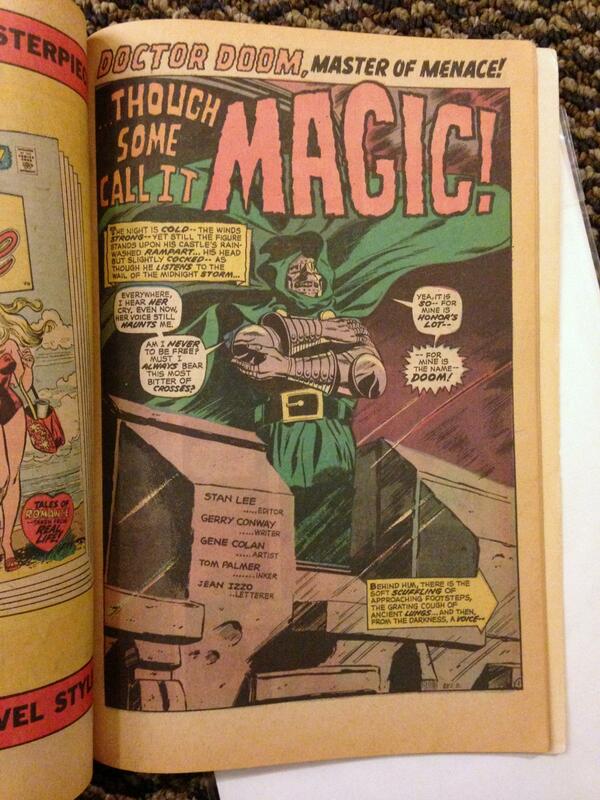 – From Uncanny X-Men #10; Marvel, 1964. 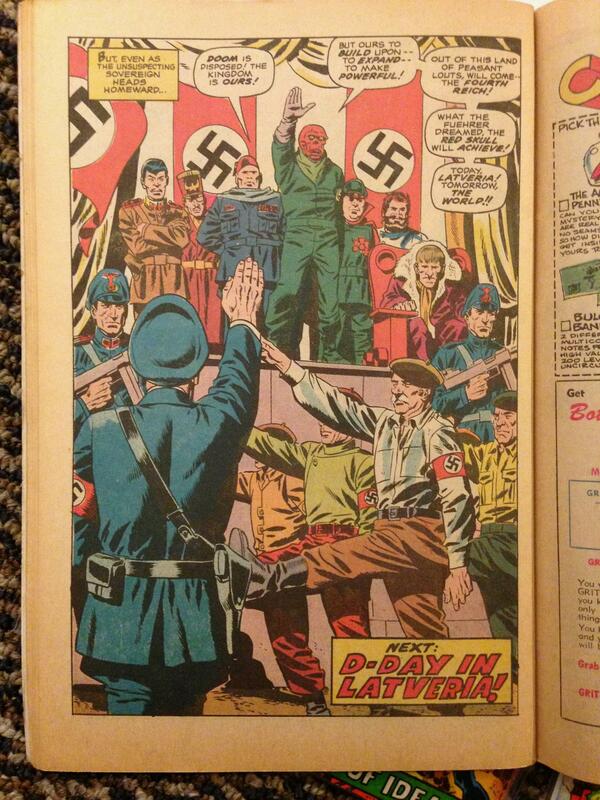 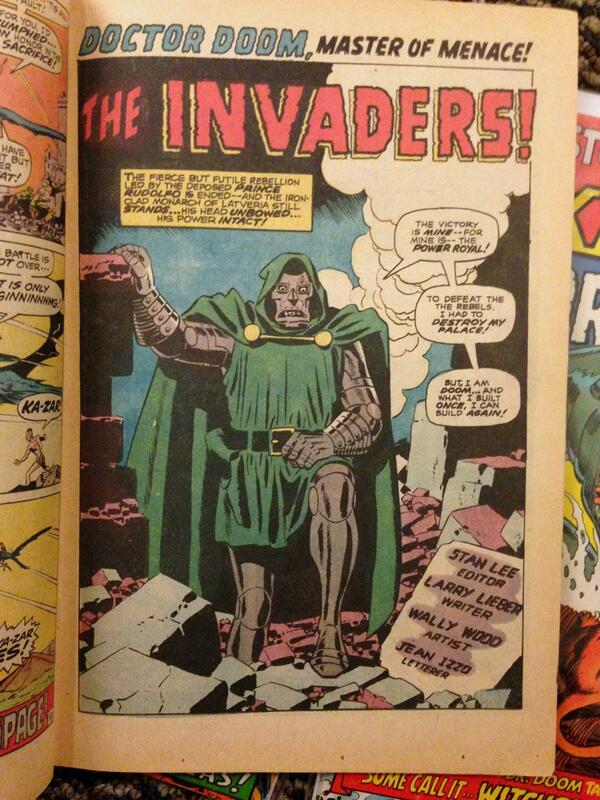 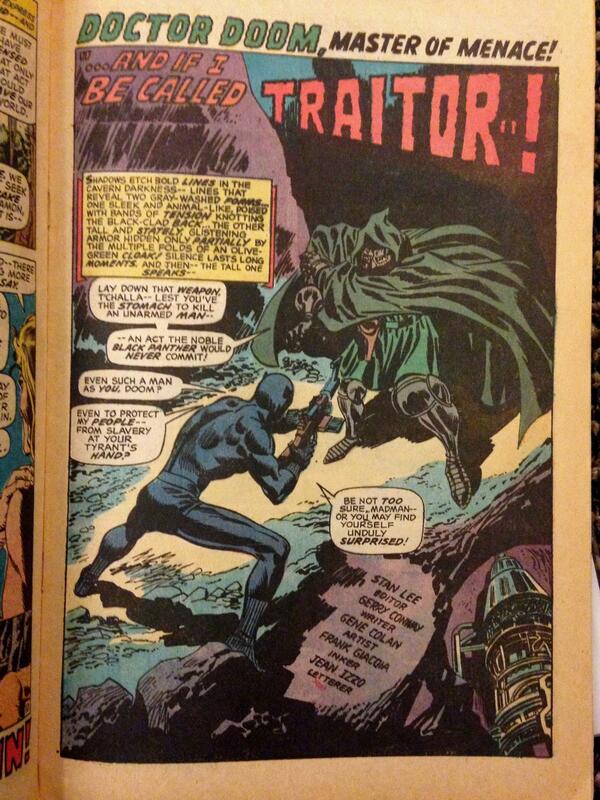 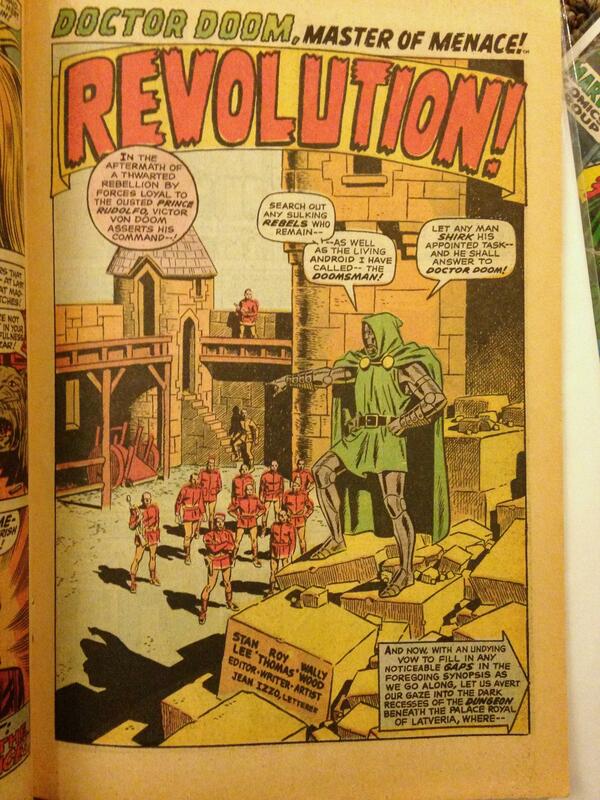 Script by Stan Lee, pencils by Jack Kirby, inks by Chic Stone. 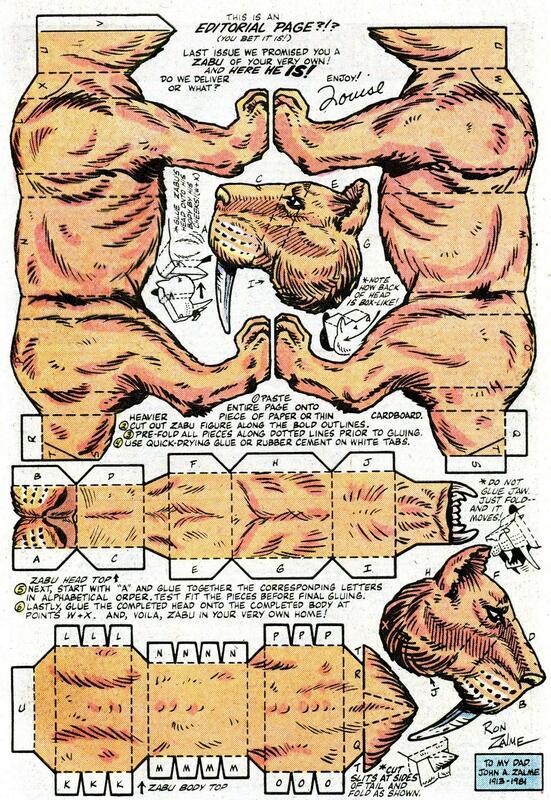 Make Your Own Sabretooth Tiger! 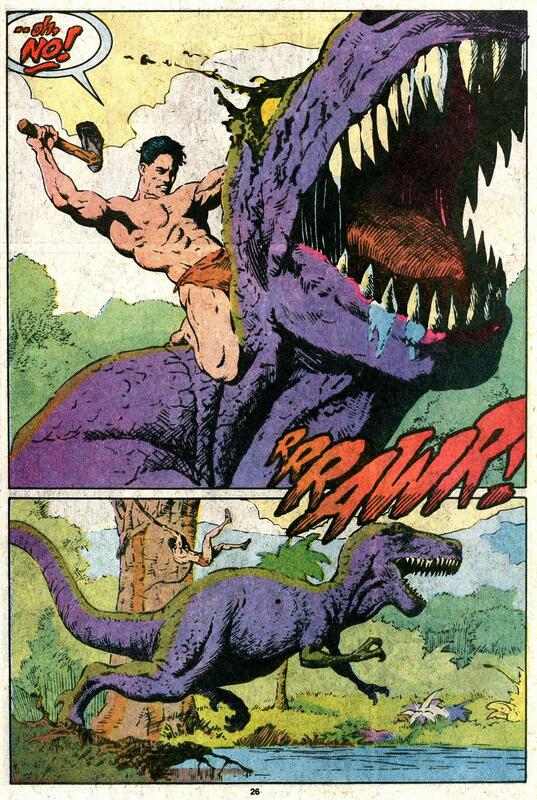 The 1980s were not kind to our dinosaur-riding, smilodon-loving jungle hero Ka-zar. 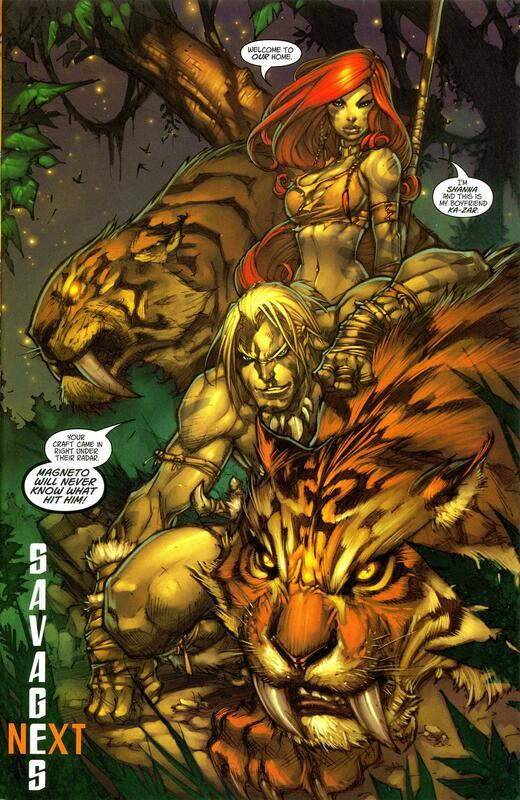 But, we did get a few good stories about Zabu, who was always the one we liked more anyway. 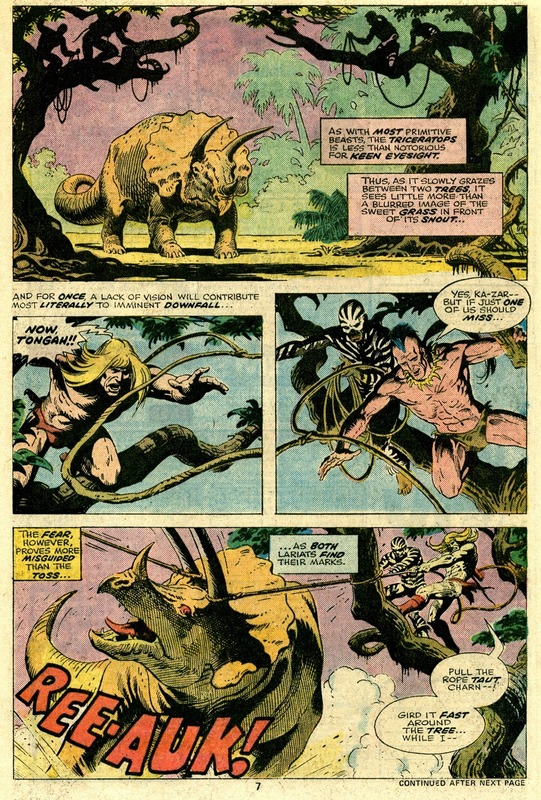 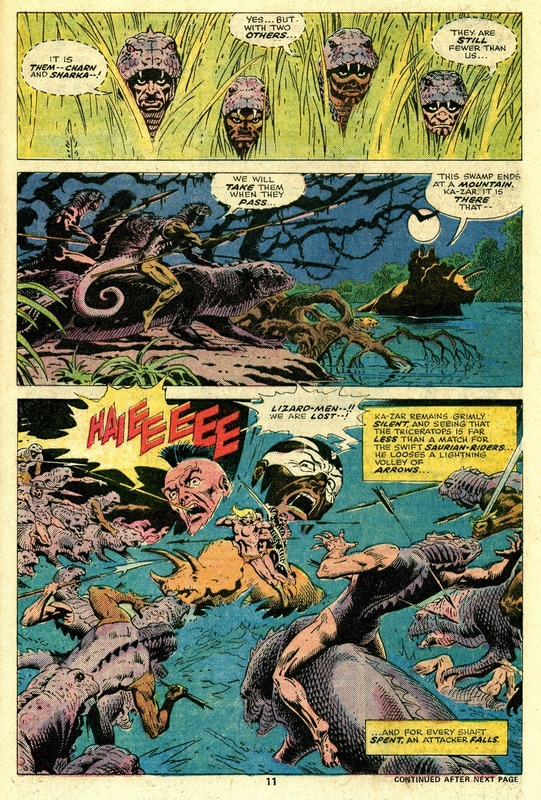 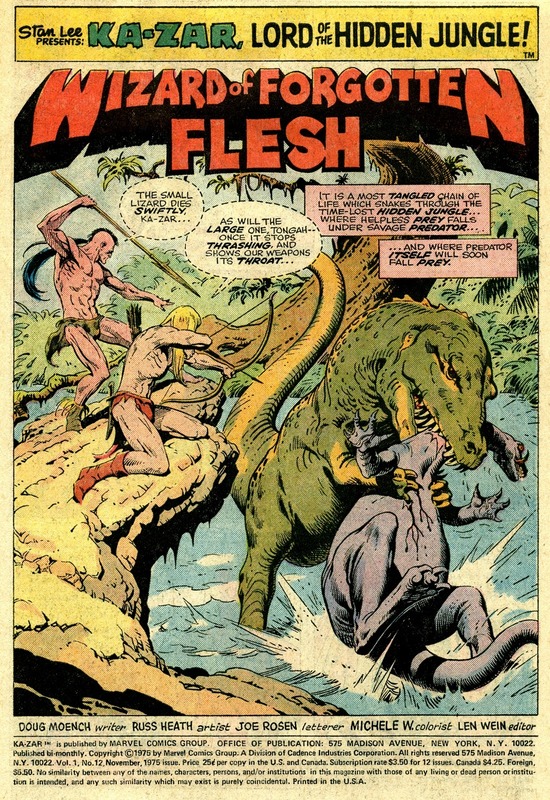 Artists like Gil Kane and Val Mayerik contributed to the back up stories “Tales of Zabu” that traced the tiger’s life from a cub to his first mate to his first encounters with the future lord of the Savage Land. 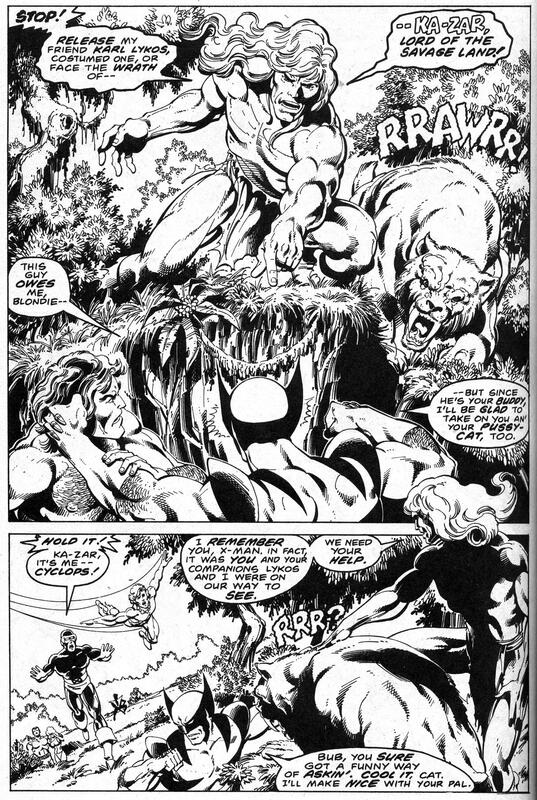 – From Ka-zar the Savage #14 and #18; Marvel Comics. 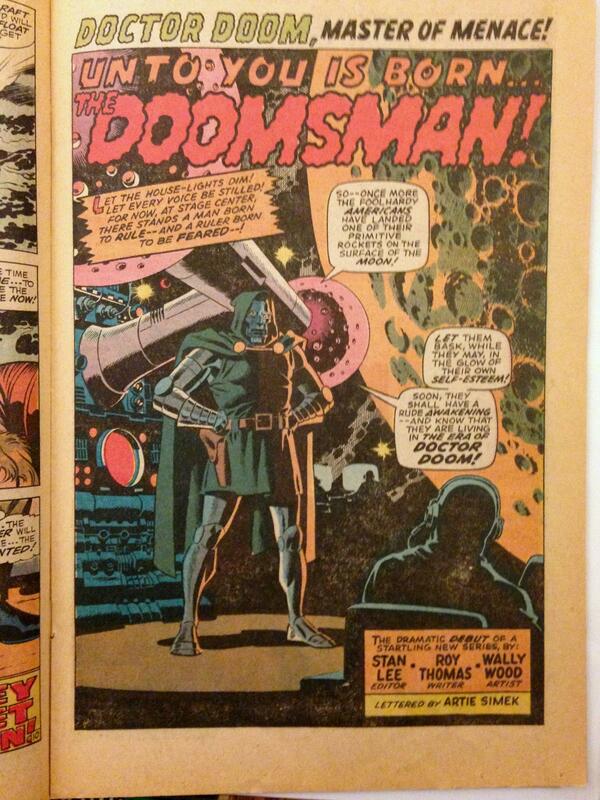 He Must Have Entered through the Endless Abyss! 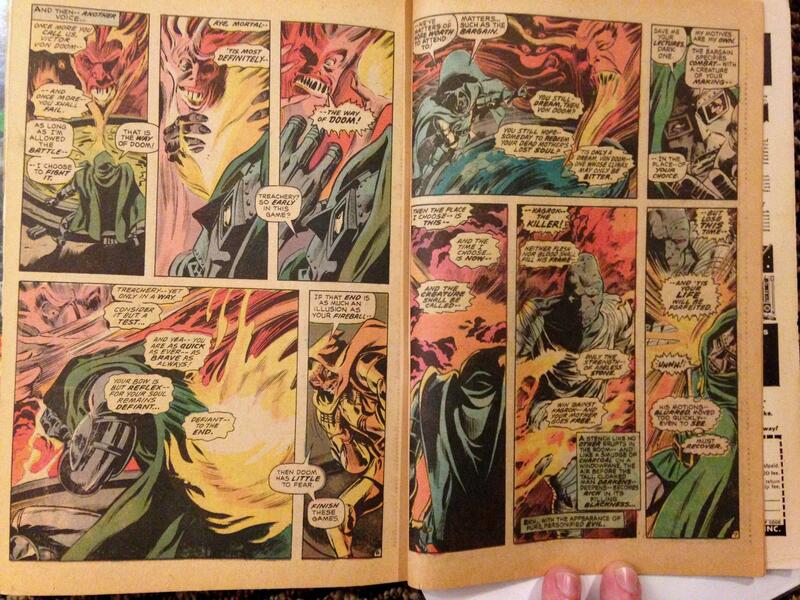 Sauron has been bugging the X-Men for longer than some of us have been alive. 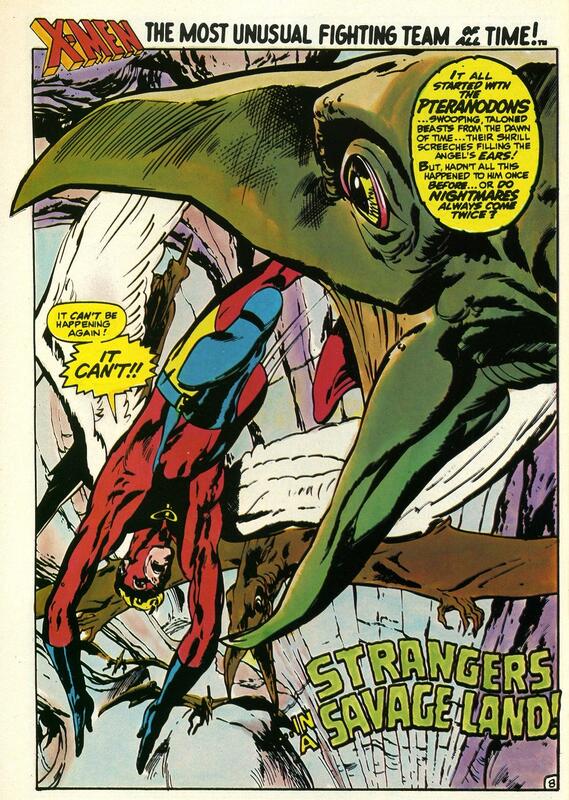 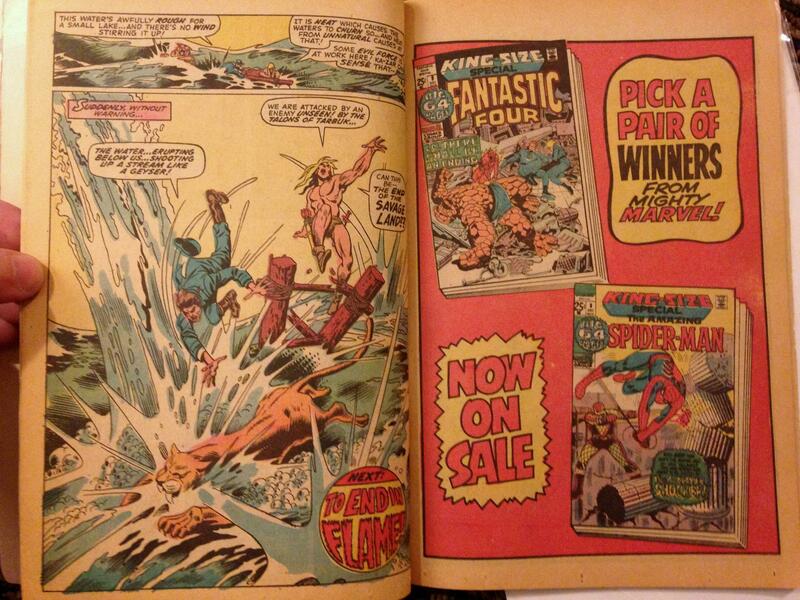 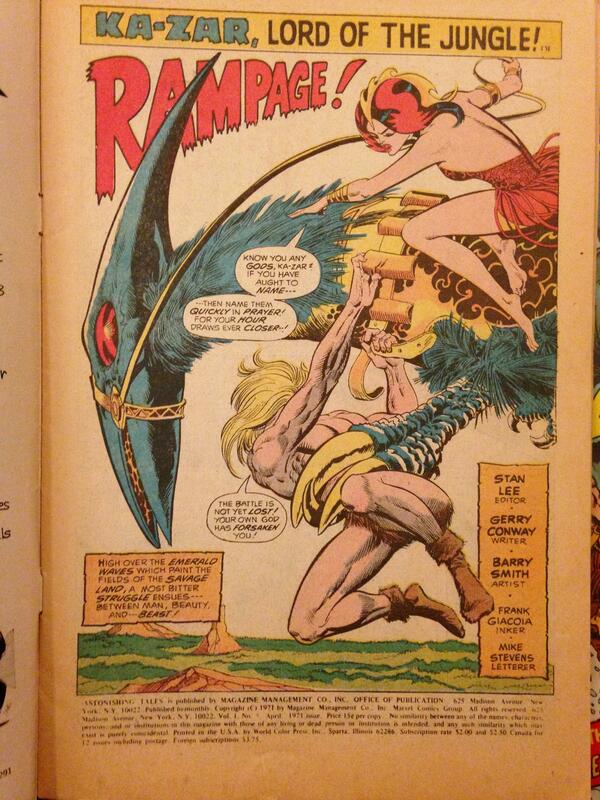 Here are some scenes from when they first met, long ago, at the hands of creative team Roy Thomas and Neal Adams. 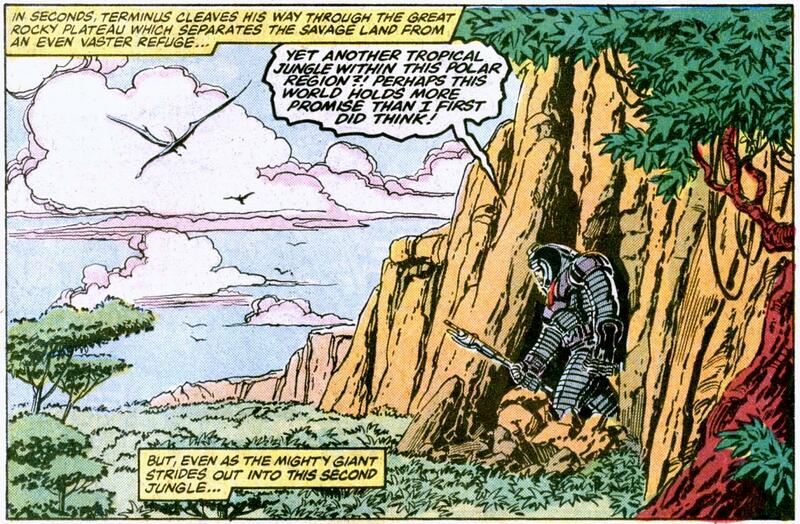 Also guest starring in this magnum opus, Magneto and his strange “little friend” Amphibus the frog freak! 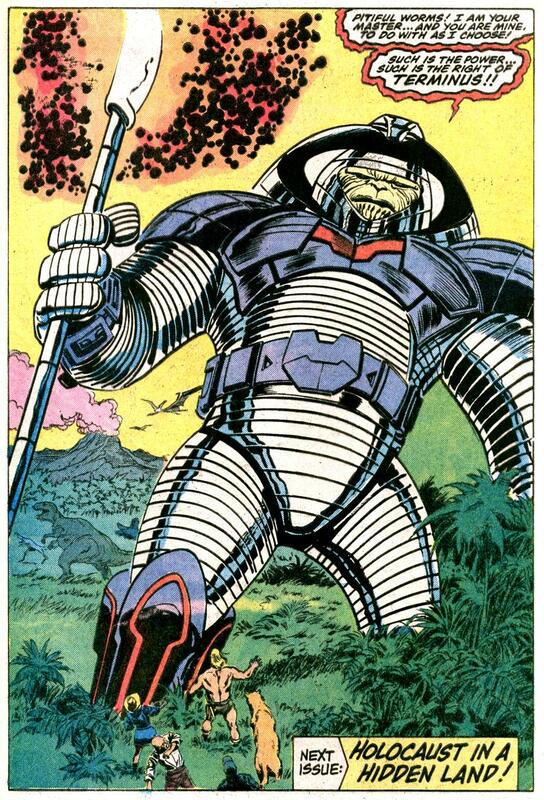 Whatever that guy’s power is, we don’t want to know! 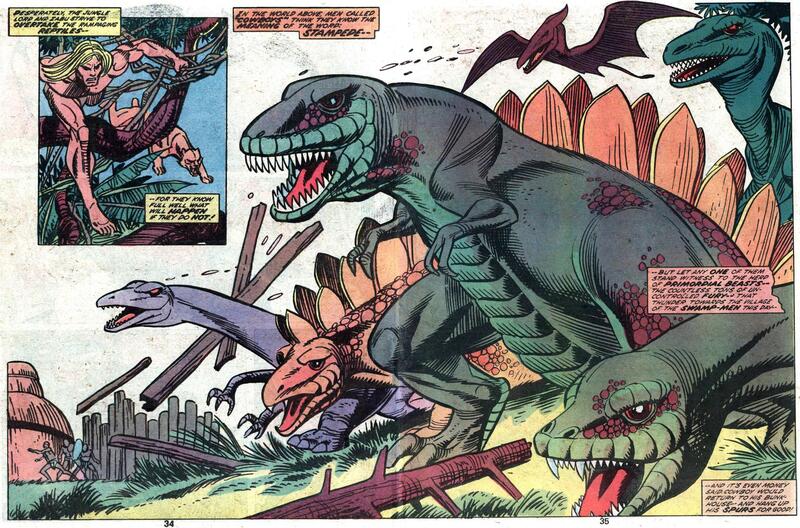 Dinosaurs from the Past Could Roam the Earth Today! 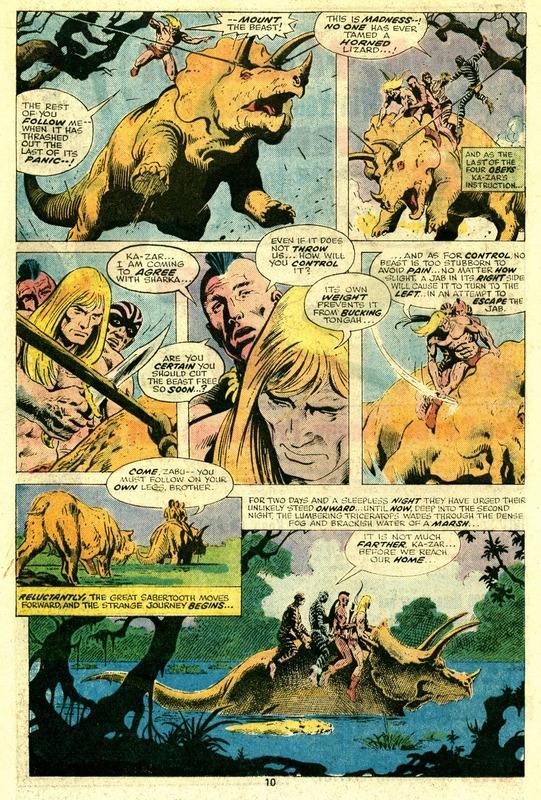 More dinosaur action in the Savage Land – and the coolest Zabu (Ka-Zar’s sabretooth tiger) ever! 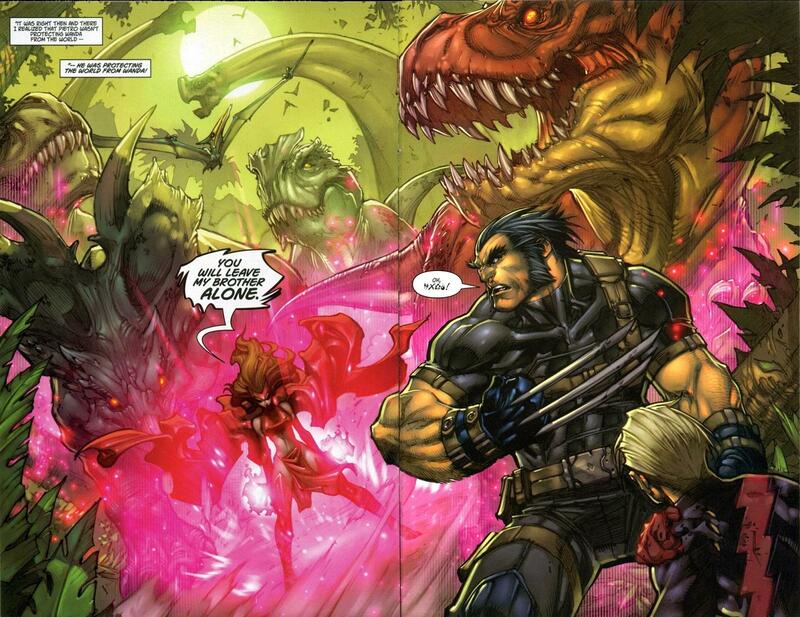 Feast your eyes on Joe Madureira’s artwork. 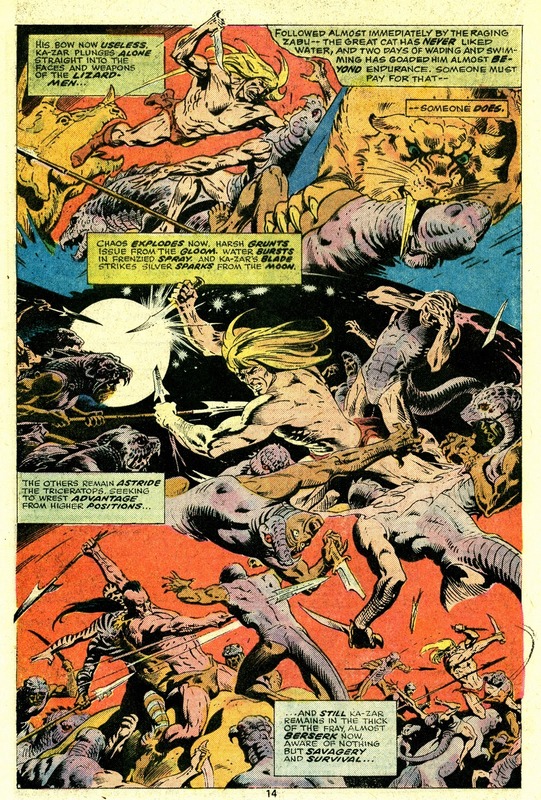 Through this entire series, he provides an overwhelming visual feast. 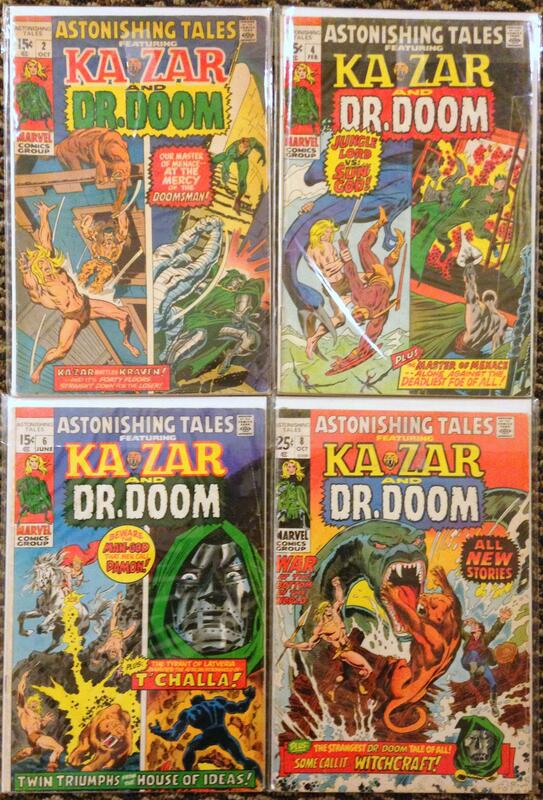 Great fun! 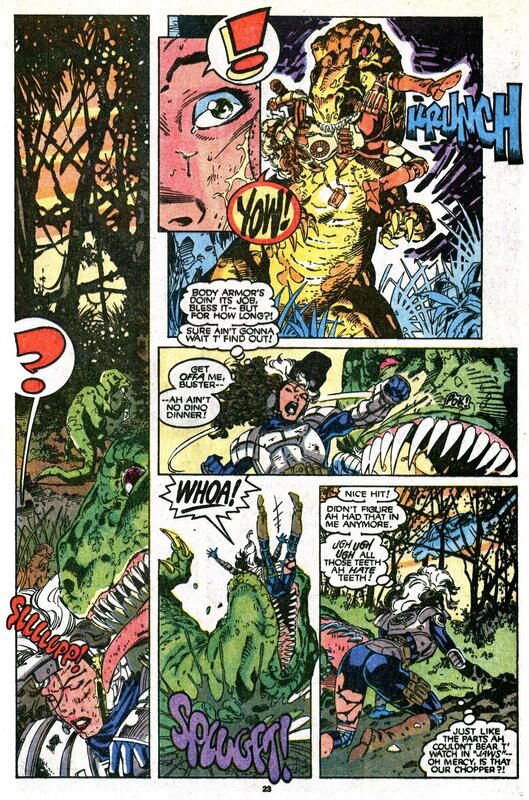 – From Ultimates 3, Marvel Comics, 2007. 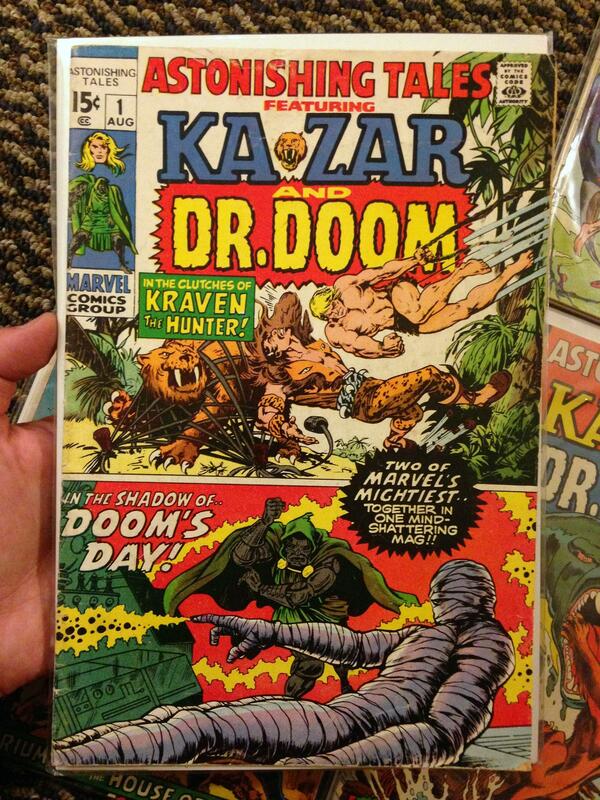 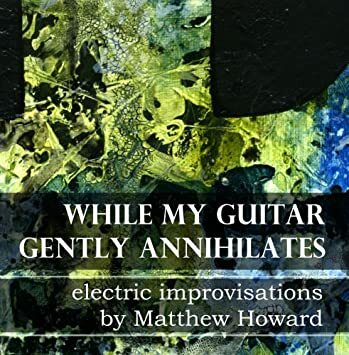 – Also in TPB and Hardcover!